The louvered panels on the headboard of this panel bed offer unique style. Its breakfront pilasters and profiled base moldings add to the sophisticated design. 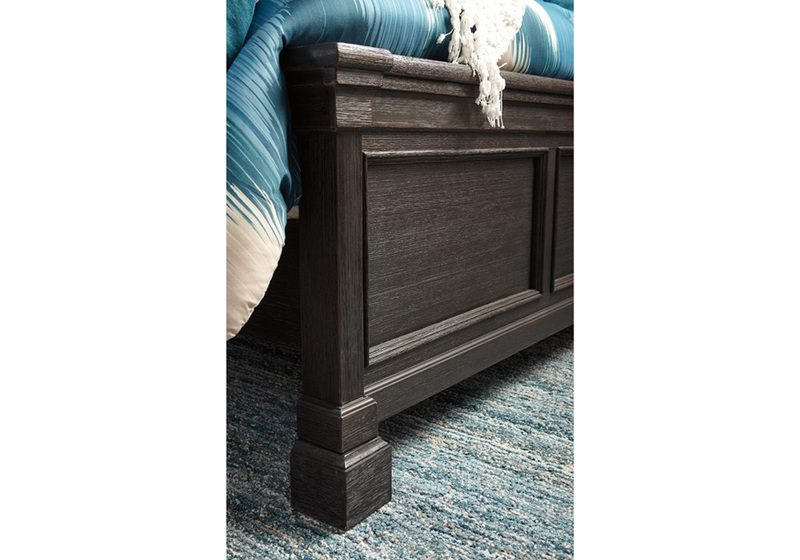 The textured antique finish has a modern cottage appeal that creates a fresh and inviting atmosphere for your master bedroom retreat. Made with Acacia veneers and solids. French/English dovetailed drawers feature fully finished drawer boxes and metal ball bearing side glides. Finished in a trendy textured rubbed black finish in combination with weathered gray brown tops. 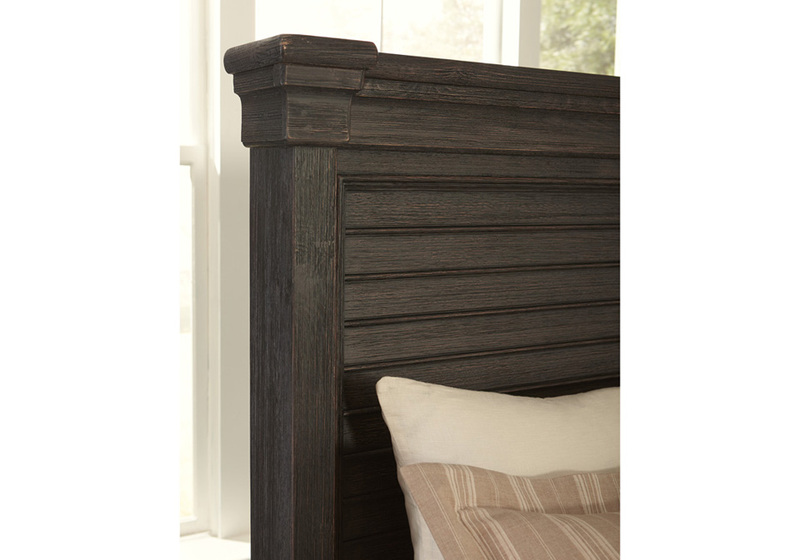 B736-57 and -58 shelter styled panel headboard has lattice design headboard panel. 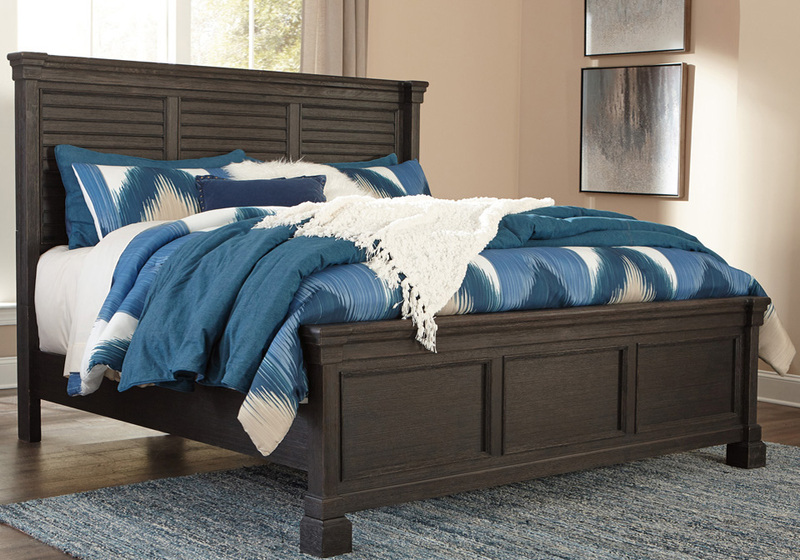 B736-77 and -78 shelter styled panel bed features a louvered headboard panel. Cases feature framed drawer fronts, break-front pilasters and profiled base mouldings added dimension. An accent night table features door cabinet storage with an AC power supply and USB charging ports for powered devices.